Audubon Park Music publishes the compositions of Wm. Glenn Osborne including the Audubon Park Psalter and the Mass of St. Marianne Cope. 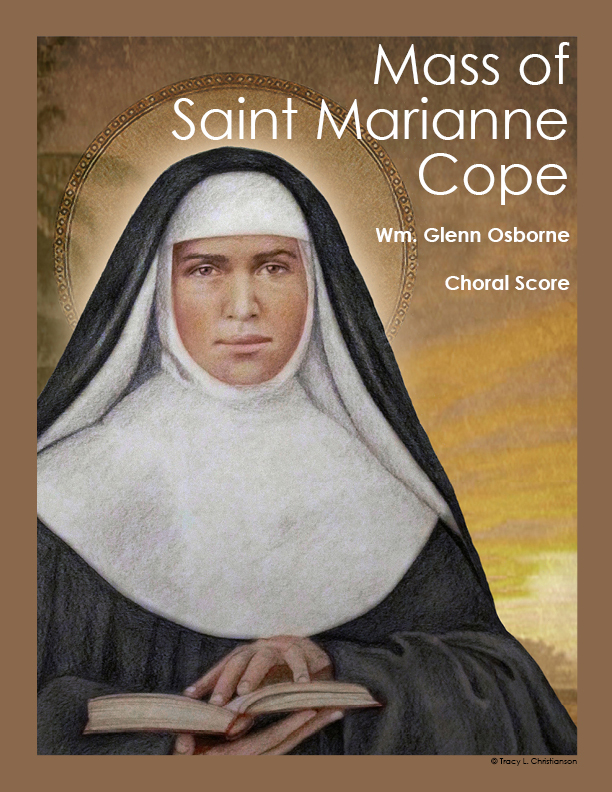 Recently completed, the Mass of St. Marianne Cope was commissioned by Rev. Joseph J. Clemente in honor of the linkage and merger of St. Cecilia and Our Lady of Peace Parishes in the Diocese of Syracuse, New York. This easily learned and dignified musical setting of the ordinary parts of the Mass allows a congregation to express its faith and devotion simply with organ accompaniment or with greater solemnity with the addition of woodwinds and brass. The Audubon Park Psalter is a setting of the Revised Grail Psalms with ICEL refrains uses a harmonic language that is interesting, yet accessible for most any parish music program. The Audubon Park Psalter is designed to be flexible instrumentally and vocally. Written in traditional four-part harmony, psalms can be accompanied by organ, choir, string or wind ensemble, piano, guitar, drums, or even handbells. If you are looking for new fresh psalmody to take your parish music program to a new level, consider the Audubon Park Psalter. Mr. Osborne is happy to accept commissions for new works, so if you do not see what you need here, please feel free to contact him by email: publisher@audubonparkmusic.com You can find out more about how he composes here.